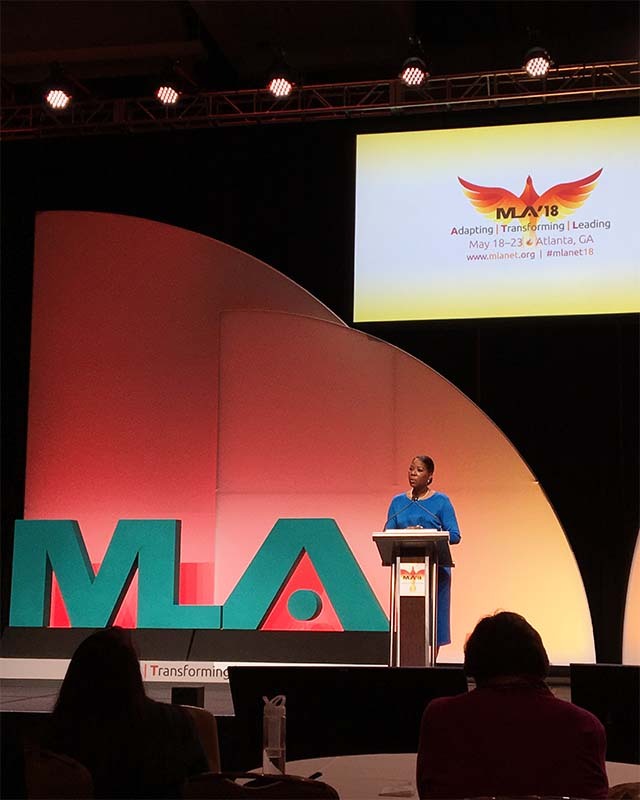 Dr. Dara Richardson-Heron, chief engagement officer of the All of Us Research Program, delivers the closing plenary at the Medical Library Association annual conference in Atlanta, May 23, 2018. 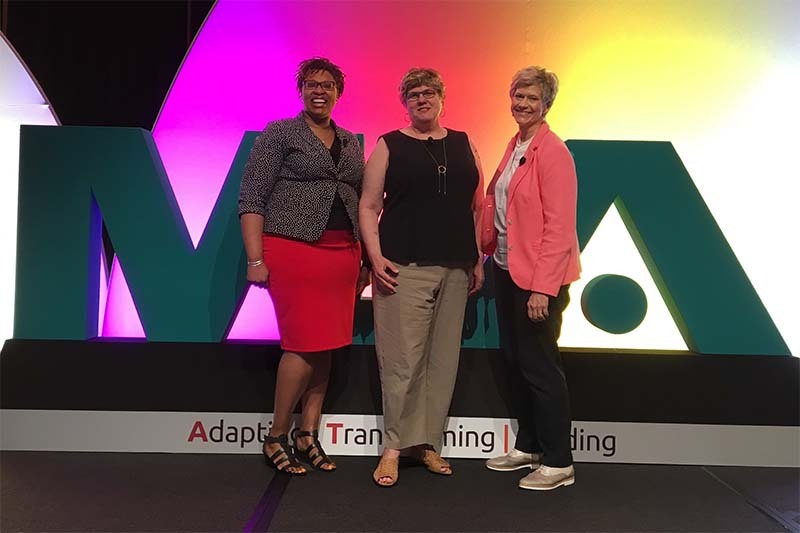 The official tag line for this year’s Medical Library Association conference was “Adapting, Transforming, Leading,” but the real organizing theme appeared to be equity and diversity. From Elaine Martin’s Janet Doe Lecture on “Social Justice and the Medical Librarian” to former US Surgeon General Dr. David Satcher’s closing plenary on health disparities to the option for conference attendees to make their personal pronouns known, meeting sessions and Association business at last month’s annual meeting frequently tackled issues of inclusion, whether in research, services, or the profession. And the notable attention given to the NIH All of Us Research Program throughout the conference fit right in. The All of Us program is working to assemble a diverse one-million-person cohort, with particular attention on including people historically underrepresented in biomedical research. These participants will contribute information about their health, habits, and environment, along with an array of medical data, to help researchers identify patterns that might illuminate factors that impact health. Dara Richardson-Heron, MD, chief engagement officer for the All of Us program, delivered an overview of the program during Wednesday morning’s plenary. “Research is a powerful change agent…that can help chip away at health disparities,” said Richardson-Heron, as she touted the benefits of building a biomedical data set at a scale never before seen. In addition to the data set’s sheer size, the four types of diversity the program is pursuing—in people, geography, health status, and data types—will expand the usefulness and boost the impact of the resulting data. “We want participants in the program to reflect the rich diversity of the United States,” Richardson-Heron affirmed. Helping the All of Us program get there will be the members of the National Network of Libraries of Medicine (NNLM). 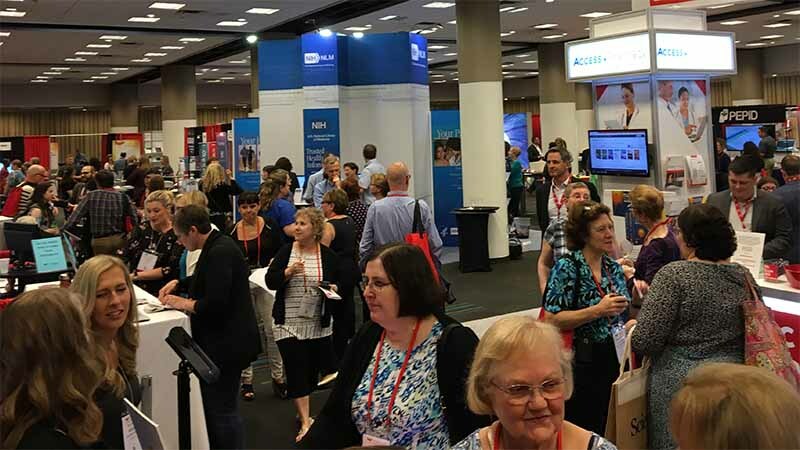 The network’s coordinator, Amanda Wilson, detailed this partnership during the NLM Update on Tuesday morning of the four-day conference and during a couple of sessions in the NLM booth. Building on the trusted role libraries play in their communities, All of Us and the network will work with public libraries to engage local communities, raise awareness about the program, and improve health literacy, Wilson said, before emphasizing that libraries will not be enrolling participants. Instead, libraries will be the source of trusted health information—as they so often are. “The NNLM member libraries…ensure that what happens in Bethesda doesn’t stay in Bethesda,” quipped NLM Director Patricia Flatley Brennan during her portion of the NLM Update. Also helping to get the word out about all that NLM is doing were Joyce Backus, NLM’s associate director for Library Operations, and the dozen presenters who delivered informational sessions in the NLM exhibit booth. Topics ranged from the NLM 2017-2027 Strategic Plan to the innovations coming down the pike through PubMed Labs. All sessions, save Brennan’s Strategic Plan review, are available in video for those unable to attend in person, and the conference Twitter hashtag, #MLAnet18, provides that almost-like-being-there experience, conveying a diverse set of voices, ideas, and perspectives well in keeping with a conference that emphasized inclusion. 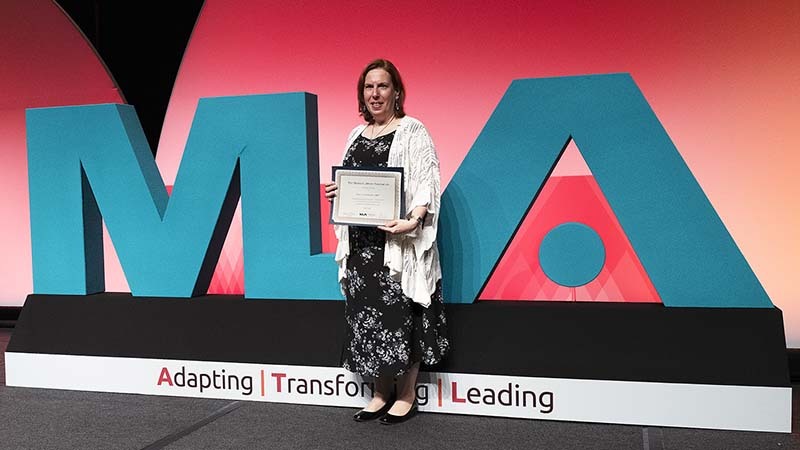 If the NLM crowd was cheering louder than usual at Sunday morning’s opening ceremony for the annual MLA conference, that’s because one of NLM’s own was recognized as a Medical Library Association Fellow. Patricia Gallagher, MLS, MA, FMLA, AHIP, librarian in the National Information Center on Health Services Research and Health Care Technology (NICHSR), was one of just three people honored as Fellows at MLA’s May 2018 meeting. 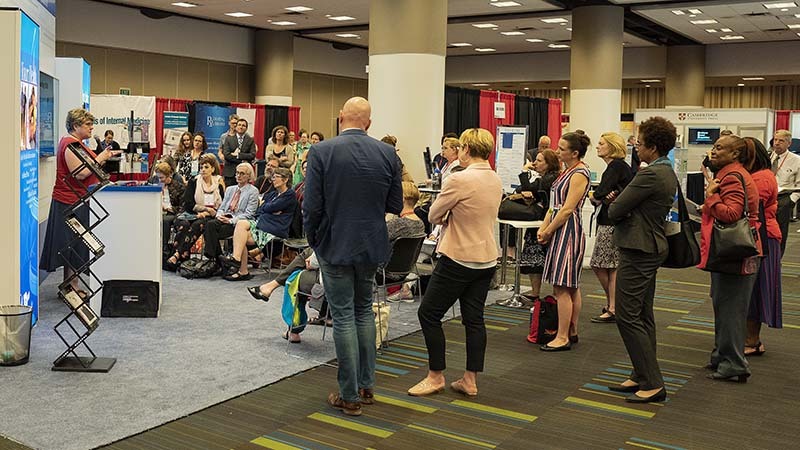 MLA Fellows are elected by the association’s Board of Directors for sustained and outstanding contributions to health sciences librarianship and to the advancement of the purposes of MLA. Gallagher was honored for her work with both MLA and the association’s New York/New Jersey Chapter, as well as for her work on NOAH, a New York City-based consumer health website. Gallagher initially joined MLA back in 1979 when she was in college, but it wasn’t until the mid ‘80s that she became active in the organization. When her boss at Beth Israel Medical Center in New York City urged her to become professionally involved, Gallagher said, “I just nodded my head. I really didn’t have a clue.” Her supervisor had someone from the local chapter of MLA invite Gallagher to join a membership committee. That’s all it took. As the years went on, Gallagher became more active in the association, taking on local and national leadership roles. She has also been mentoring young professionals since the ’90s, many of them now in leadership roles in MLA and its Chapters. When Gallagher thinks about the many impressive fellows through the years, including Janet Doe, Erich Meyerhoff, and NLM’s Betsy Humphreys, she can hardly believe she has joined their ranks. Patricia Gallagher was honored as an MLA Fellow at this year’s conference. 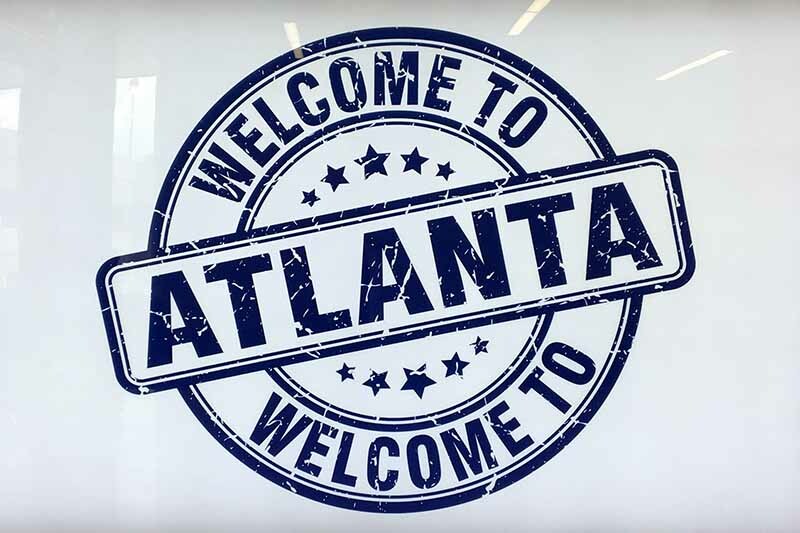 Even Atlanta’s airport signage exudes warm Southern hospitality. Conference attendees mingle near the NLM booth during the exhibition hall’s opening reception on Saturday, May 19, 2018. 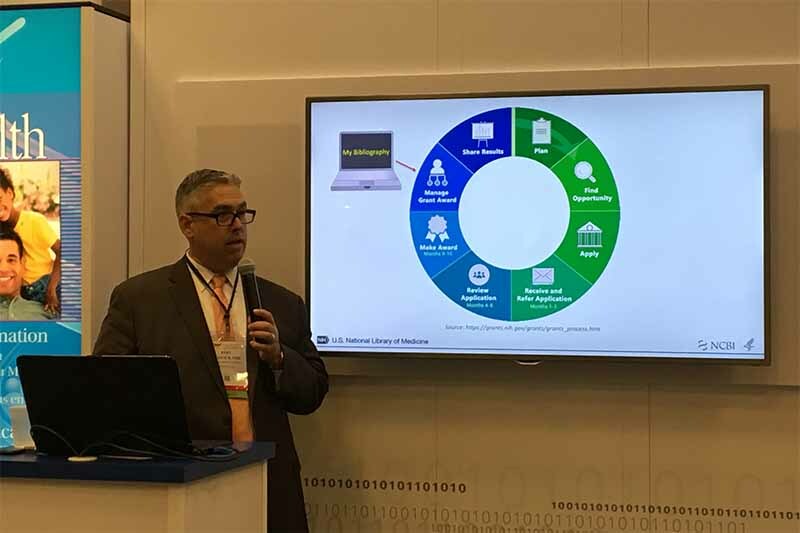 Bart Trawick, PhD, discusses My NCBI at the NLM booth. Amanda Wilson, Patti Brennan, and Joyce Backus are all smiles after the NLM Update Tuesday, May 22, 2018. A crowd gathers at the NLM booth to learn about the Library’s strategic plan from NLM Director Patti Brennan. 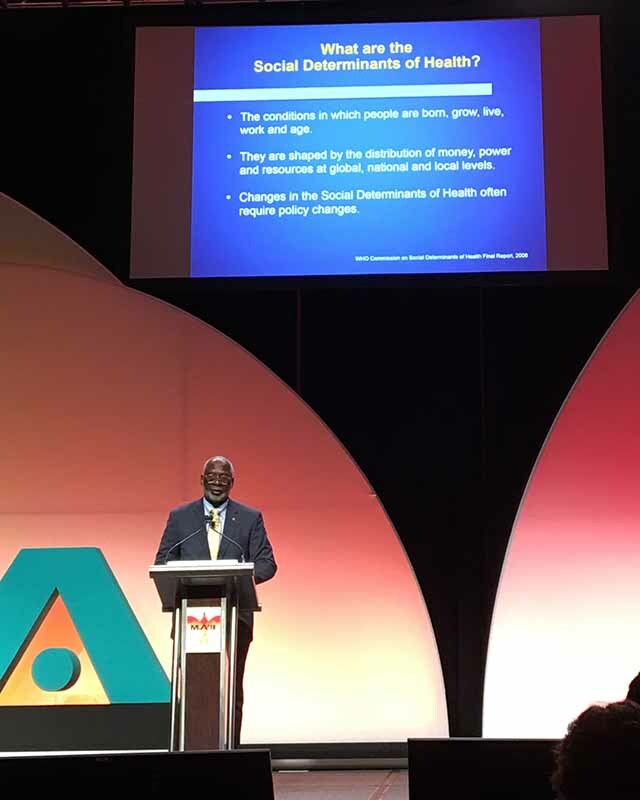 Dr. David Satcher speaks on the social determinants of health at MLA’s closing plenary Wednesday, May 23, 2018.